The Yihi SX Mini Mod is a high-end variable wattage box mod powered by a single 18650 battery that fires up to 60W (in regulated mode) and is compatible with atomizers as low as 0.15 ohms. Made from stainless steel and aluminum, it has an comfortable ergonomic grip, a great look and loads of advanced features with it’s SX350 chip. 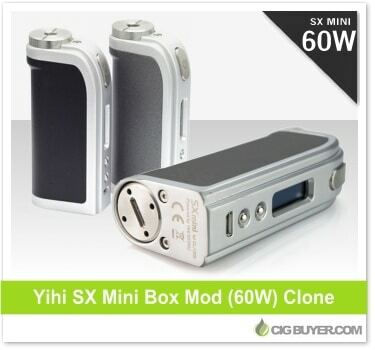 An authentic Yihi SX Mini retails for almost $200, but clones are available for a fraction of the cost and include most of the same great features. So the clone didn’t get the temp control function?